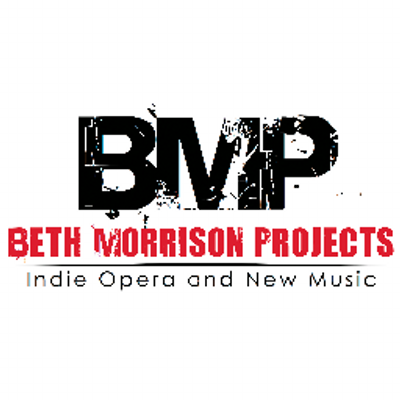 Beth Morrison Projects (BMP) identifies and supports the work of emerging and established composers and their multi-media collaborators through the commission, development, production and touring of their works, which take the form of music-theatre, opera-theatre, multi-media concert works and new forms waiting to be discovered. Founded in 2006 to support the work of these composers and their multi-media collaborators, Beth Morrison Projects encourages risk-taking, creating a structure for new work that is unique to the artist and allows them to feel safe to experiment and push boundaries. Noted as “the edge of innovation” (Opera News), Beth Morrison Projects is a contemporary opera mastermind (Los Angeles Times) and “its own genre” (Opera News). Projects have been performed in numerous premier venues around the world including Brooklyn Academy of Music, Disney Hall, The Barbican, Lincoln Center, The Walker Art Center, The Beijing Music Festival, The Holland Festival, and more. Current and upcoming projects include works by composers Todd Almond, Ted Hearne, David Lang, David T. Little, Zhou Long, Matt Marks, Paola Prestini, Ellen Reid, Kamala Sankaram, Sarah Kirkland Snider, Michael Gordon, Mohammed Fairouz, Missy Mazzoli, Nico Muhly, Scott Wheeler and more, with directors Michael Counts, Julian Crouch, James Darrah, Rachel Dickstein, Daniel Fish, Bob McGrath, Kevin Newbury, and Paul Peers.